I found this tool to be quite helpful. It is also very accurate. For those of you budgeting, this may be a good way to look at things before scheduling a patient. I would love to have this as an iPhone app. I have looked at a few apps after seeing this one online. I recently downloaded one called RVU, aka Clinic RVU, but it didn't account for consults, Medicare transition visits, well child examinations or procedures, only clinic visit RVU's. Given the inclusion of Annual Wellness Visits but no physical examinations, I assumed that this was written for Internal Medicine only. Additionally, it seems that the AMA owns the copyright to the CPT codes and will not allow them to be used "without paying a hefty licensing fee." This was the quote from the app itself. It's a nice start though. Who knows, maybe I'll write one of these things and include what I need. If only I had the time ...:). It seems that the more things change, the more they stay the same. I had another sensor issue recently, this time on my iPhone 6. However, before taking my phone back to Apple to get it fixed, I went back to one of my own articles. 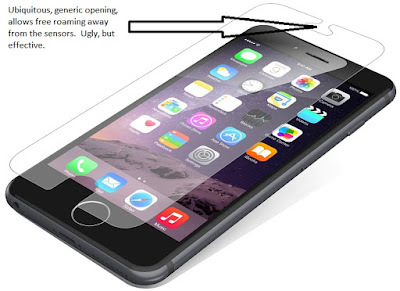 Yes, in 2011 I sat down and penned an article that my iPhone light sensor issue was resolved and its cause was through no fault of Apple's but a third party cover that was turning the phone on and off. So of course I decided to upgrade and pick up the beautiful new screen protector that covered all of the glass, because it was just much better than the one from a year ago. The shop owner took about 10 minutes to flawlessly place this on my phone. I was happy and tested out the phone in the store of course. It was flawless and my phone looked like new again. The following day I began to notice that I could not get the phone to come out of what appeared to be night time mode. Although the color changed, it was still dark. I blamed watching a movie on the phone, turning up the brightness to about 90% for the problem. I thought my phone was finished. I then went to the settings and turned off the automatic settings. However the brightness never came back. I then remembered having this problem before and remembered that it didn't start until after I replaced the screen protector. Could it be? Deja vu? Before running to Apple, now 5 days within the warranty period, I took it back to the store and pointed out to the shop owner that I thought that the light sensor was being covered by the protector. She did not think so and tried to convince me otherwise by showing me her own phone. However that was her mistake. I showed her that despite the both of us having the same protector, I could see the entire sensor on her phone, yet I could not on mine. She relented and replaced it with an identical model, this time shifting the sensor part to the left. Again, it appeared flawless and guess what? It solved the problem. I was happy to have this replaced and very happy that the store owner listened to me. So, if you decide to pick up the latest and greatest Zagg Invisible Shield Glass Luxe Screen Protector - HD with its incredible form fitting design, make sure that you test it before taking it home. Shut off your automatic light sensor in settings. If the phone remains dim or dark then you may have a sensor problem. Remember the light sensor is just to the left of the ear speaker. The larger of the 3 circles. The last time this happened it took me weeks to resolve the issue, this time only 2 days. Hope this helps. The Apple release of the iPhone 7 was more of a bridging event than something of a trend setting release announcement. I am not certain that the whole event couldn't have been mentioned in a press release, although the iPhone is the juggernaut that drives the Apple financial train. If the rumors are true, the tenth anniversary edition of the iPhone to be called iPhone 8 or iPhone 10 or iPhone X (if the rumor mills are to be believed) is the one to wait for next year. However, I was not really interested in the iPhone this year. What I wanted to know was when would the new MacBook Air or MacBook Pro be released? You may have seen the rumors. The new MacBook Pros may have a new OLED replacement for the Function keys, a single USB-C port with some uncertainty about a dedicated USB-3 port. My wish is for a long battery life, a retinal display screen and a laptop that is light. I love the feel of the present MacBook Air, but the lack of a retinal display is a definite miss for these eyes. The present MacBook Pro is clunky, although it beats my current 6+ pound 2009 MacBook Pro. The rumors for the MacBook Pro and possible retinal display MacBook Air have been around for more than a year. It's time for Apple to come out with something extraordinary and take over the laptop market again. I am very surprised that this did not happen before the new school semester started. Hopefully, we can have something that will last another 7 years. 4. No change in the keyboard (The new MacBook keyboard is disastrous). 5. USB-3. There is some concern that Apple will release only a solitary USB-C port that will double as a charge port as well as a USB port. Hopefully Apple will not make this the only port. We will need USB ports. There is a rumor that October 2016 will be the announcement date. As of today, one can only hope so. Pebble Watch - The First 100 Days. A Review. This article was written some time in 2013. It was stuck in the Drafts, but I thought I would release it now. As I look back at it, this was an interesting time :). I remember looking at Kickstarter in May, 2012 and seeing a product that looked revolutionary, somewhere on par with the release of the iPhone. I chose to ignore it at first, but as I got in my car and headed home, I soon realized that I had just seen something amazing, on par with Steve Jobs' presentation of the first iPhone. The Pebble Watch was the first true Smart Watch that not only displayed beautifully designed watch faces, which appeared to compliment the design of the product, but it appeared to be the first attempt at a watch that actually looked like a watch. It was slim, sleek and light. It was obvious that a lot of attention had been placed into the design of the product. From the thin and light aspect of the body, right down to the fonts used to display the time. It appeared that nothing was left to chance with this device. I watched the video presentation at least 2 times within a 20 minute period before deciding to join Kickstarter and purchase the watch. I recall thinking to myself at the time that there was no way that this company was going to deliver on their promise that was seen in the video. As I read the Kickstarter blog posts in August and then December and saw the delays about the release of the device, my heart grew colder that I might not care about the release due to the fact that some other company would probably surpass Pebble. But I held on to hope because the CEO Eric Migicovsky was kind enough to send out updates. Unlike many, I believed every update and I knew what I was getting into before I sent my money to Eric. This was a device that was in the making. Pebble had already created the device on the defunct Blackberry system and I knew that they could reproduce the experience here. When I saw the pictures from China and the Pebble team engaging with updates, I turned off all of the chatter from the chat boards because it was obvious that many people jumped on board for reasons that were simply ludicrous. 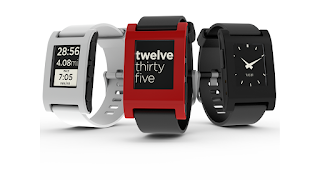 The media frenzy that followed the Pebble and its $10 million Kickstarter debut brought more people - people who thought they were shopping at Sears - who didn't really know that they were funding a start up company that Angel Investors had turned down. There was no promise to deliver a watch on time. It was a work in progress. And the slow rate of release updates signaled to me that the company wanted to make it right the first time. I felt privileged to be on the train for the ride. Some time in January, I received an alert on my phone that the phone was getting ready to ship and that I had to confirm my address. I felt like a school child waiting for his first electronics set to arrive in the mail. I decided to check the Kickstarter boards to see if the excitement was contagious. Only a few grew excited and the board seemed to be filled with negative naysayers. I went back to my Kickstarter Bulletin Board seclusion. It was at about this time that the excitement became unbearable. I was getting messages on my phone about the impending arrival of the device. I began reading a few reports of the device but again ran into a few naysayers who expected the watch to do a lot more, again not comprehending that their purchase was a work in progress; nor realizing that the SDK was the key to the device and that it was not a static device. I remained patient. It was a Saturday afternoon. We had checked the front door to ensure that the Fedex delivery truck had not dropped off the watch and left it without knocking on the door or that the device was undelivered and waiting for us at a local depot. The surprise came when my wife checked the mailbox and found a simple brown box, akin to the Amazon Kindle box which simply exclaimed on the outside "It's Time." I opened the box and looked at the pure untouched black screen, the flexible and relatively expensive looking rubber watch band. My wife exclaimed, "Wow, that looks very impressive." And it was. It was a lot lighter than I expected. It was also more elegant than I could have imagined. The plastic feel of the watch was unusual, but less in a cheap way than in a weight expectation mind shift. At the back of the device was the proud KICKSTARTER monicker. The box itself carried a number which was low and sentimentally, as with anyone who owns a low numbered copy of the White Album by The Beatles, connotes some special feeling that you are really a part of something. The elegance of the device was again shown in the font selection chosen As I mentioned earlier, the font selection fully complemented the black watch face. No stray pixels or pixelated screen displays. The buttons were perfectly aligned in addition to having perfect tactile feedback. Day 0 was filled with excitement and expectation. I downloaded the required software to my iPhone and then easily paired the watch to the phone. I downloaded a few supplied watchfaces that were preloaded with the app. I again marveled at the workmanship of the device and the smooth contours of the fonts, the responsiveness of the buttons and the actual placement of the buttons. They were perfectly separated such that big fingers or short, no one would touch any button by accident. I controlled my iTunes collection and watched as songs strolled by on the watch screen. I pinged my watch from my iPhone just for fun. I had my family wear the watch to show them. I then of course made the mistake of checking in on the Kickstarter Pebble blog/notification site. More "Is that it?" postings intertwined with " I haven't gotten mine yet, this is a scam!" I again went back into Kickstarter Bulletin Board seclusion. But not before tweeting the Pebble creators to say thank you for a great device. I set the watch to vibrate for the next morning and on Day 1, I actually woke up after the phone buzzed me into a new dream. I remained in awe of the watch during the first few days of owning the device. I kept changing watch faces as the SDK was not out. And then disaster struck. On monday, I took the watch to work to find a blank screen. I could not use the watch for the entire day. The rechargeable battery had dropped to zero within 72 hours. Something that I was not expecting. I soon found out that no matter what I did, including turning off the bluetooth, the device would stop functioning within 72 hours. This was a frustrating development and one that I hoped would be short lived. I immediately turned to Twitter this time, since I did not trust the Kickstarter boards and asked @Pebble the question directly. Within 48 hours, I got a response! And the response gave me confidence that this company was even better than I had first imagined. To paraphrase, "No, this is unusual, but send us the log of your device." I sent the log (stored in the watch) and then received another response within 24 hours, again to paraphrase, ".... we are aware of the problem and we will have a fix in the next release. " I settled for that and continued to enjoy my watch. Within a month, the first watch face SDK was released and with it, the watch update was released. Surprisingly, I wrote another email and tweet to the company during my third week of ownership to ask when the watch update would be released, since the watch was routinely running out of battery life at the 72 hour mark after every charge, no matter how frequently I used the phone or if I used bluetooth 24 hours per day or not at all. The response I got from the Pebble team again reminded me of Apple. Again to paraphrase, "...again we are aware of the problem, but we will not release an update until we are certain that all of the bugs have been removed. " There was also a little more about not wanting to create a new problem while solving the first problem. This was the meticulous nature in which Pebble did their business. They had obviously ignored much of the negativity on the bulletin boards by answering only in production but not engaging in a social altercation. Their response was an incredible SDK watch face release and complete resolution of the battery problem. With my watch now able to last 8 days without a charge, I felt comfortable using it on a daily basis. My wife marveled at the fact that I had chosen to wear a watch again after 14 years. My patients looked at the watch and thought it was the coolest looking thing they had ever seen. Even when I hid the watch under my shirt sleeve, once it was exposed, people were still excited about it. A few recognized it as The Watch that everyone was talking about. Others marveled at the fact that I "had invested in this watch company." Of course Kickstarter allows only a minor investment while garnering a return of an item as opposed to stock options or profits. With the development of the SDK for watchfaces, the C-Developers out there came up with a lot of amazing things. Someone found a way to bypass Apple's system of clearing everything through the App Store and also found a way around Pebble's own App store (which doesn't exist yet). Using QR scanners and other ways in which to get watchfaces onto the watch, including making rudimentary watchfaces without coding, app developers essentially went for home run hits. The Pebble was unleashed and we were finally getting what the Pebble makers had promised last April in their video. The sheer number of watch faces created grew to over 1000 within the first few weeks of the SDK, with smaller websites vying to create watchfaces and apps for the watch. Some developers used incredible ingenuity to not only create static watch faces, but developed watchfaces that remained in motion. Others found ways in which to use the watch face method to create actual apps such as timers, score keepers and yes, an actual metronome using the buzz alarm feature of the iPhone. Owning an iPhone 4 with iOS 5 meant that I could not reap all of the benefits of the watch. I was able to receive phone calls, but not message or email notifications. I would have to have an iPhone 4S with iOS 6 for that. Something that I am not yet ready to do. However, the watch was handy in so many ways that I began to realize that Pebble had just created a niche. And that ground breaking video from last year? Yes, this company was actually delivering in their own sweet time, every single bullet point on that video. And they were delivering the bullet points in style. This was not a beta release or a concoction of hacked pieces assembled. 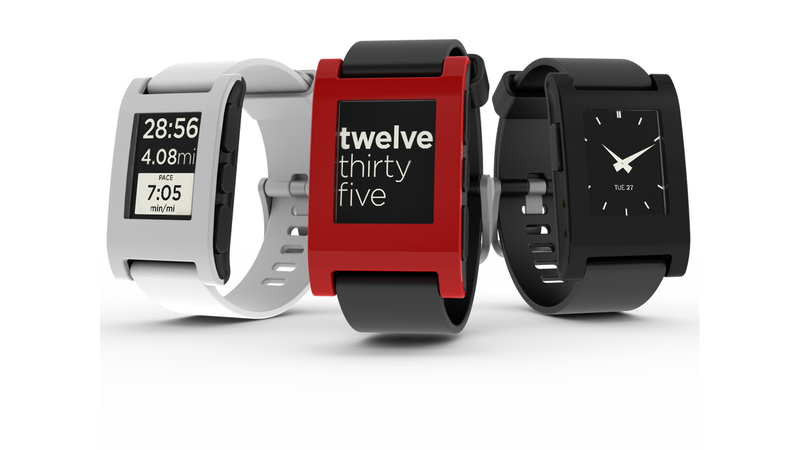 The Pebble watch is a thing of beauty and a thing of absolute utilitarian goodness. Within the first two months I found that I could not function without it. I set up an alarm at 1600 hours (4pm) every day during the week to let me know that I have an hour left in the clinic. If I am running behind, I try to catch up because I know that my nurse will be leaving at 5:30 sharp. If I find myself lagging, I also know that the clinic hours will be ending in an hour. This is an incentive to move a little faster, especially if I am post call. The beauty of this alarm is this: Only I know that it is going off, because the watch is buried under my shirt sleeve and vibrates. But the real beauty of owning the watch was evident in a series of meetings that I had to attend. They were very intense meetings in which any cell phone calls were frowned upon if taken during the course of the meeting. I was able to set my phone on vibrate and actually put it in my pocket or briefcase. When a call came, it went to my watch. It showed who was calling and I could choose whether to let it go to voice mail or answer it. If I pressed the answer button on the phone, I would have time to take the phone out of my pocket and speak to whomever was calling. This was especially important when I got paged and then called to see a patient urgently. I was able to silently get up and leave the room without causing a fuss. On another occasion, I was able to get rid of a call without ever having to reach for my phone. A crazy telemarketer called 5 times within an hour in the middle of a meeting. I was able to hit the x button on my watch and never look at my phone. All without interrupting the meeting or making anyone know that I was rejecting a phone call. I used a counter app while running around a 200 meter track at the local gymnasium. It was wonderful not having to carry my phone or a counter with me. Additionally, I found myself being able to lock my phone in my locker since I could see who was calling me during a work out. I have been so impressed by this that I am now considering getting rid of my pager, since I no longer need it. If I receive a call from the hospital, it will go to my phone and then to my watch. I can then call back the hospital. It was only a matter of time before the most coveted app RUNKEEPER was released on the device. I downloaded the iPhone update as soon as it came out, but ran into issues. The program would not run on any iPhone 4 devices. Within 48 hours, this glitch was fixed and I was amazed to see the app in action on my watch. Although rudimentary, I knew that this was the begining of something incredible. Ignoring the naysayers again, I knew that this was a beta project that would find many updates until it is perfected. But along the way, Pebble released the Two-Way SDK. Eureka. Incoming Message: "Are you free to go to dinner tonight? " " I am in a meeting. I will call you as soon as I am free." Incoming Message: " How many patients are we following tomorrow on rounds?" Incoming Message: "When is the paper due?" Send (Date (Today) + # days) as Date. ie. May 31st = Today. Paper due 5 days from today. I have really enjoyed this watch and can only imagine what lies ahead for this company. I highly recommend The Pebble watch and its tight integration with the iPhone. 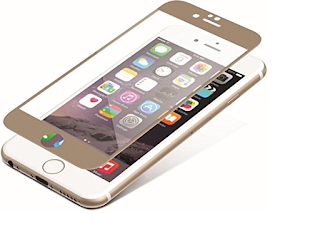 First thoughts on iPhone 5S, iOS7 and Siri, my virtual friend. I finally had the opportunity to catch up with the modern world by purchasing the iPhone 5s. Having used it for about five days I think that the upgrade from the iPhone 4 is nothing short of brilliant. The iPhone 5s is extremely fast. Although I thought that the user interface was actually overdone initially, over the past week I have actually grown fond of it and see it as a necessary upgrade, with my old iPhone 4 and its iOS 5 operating system appearing dated. But it is not perfect. It still has a few weak spots. 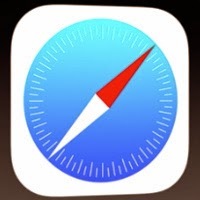 , the interface for Safari is nice and elegant, but is seriously impractical. I am really hoping that many of the changes show up here more than anywhere else. Perhaps my only other major complaint about Safari, includes my complaint about Notes. The dramatic move away from the now tacky skeumorphic user interface was met with some excitement and trepidation in most parts, but I have always felt that there was a need to do less of it. But what we have with Notes and Safari is an eye sore at night. The blatant white background that looks beautiful during the day is almost impossible to look at during the night time hours. The blistering white screen is nothing short of annoying and again impractical. However to be honest, Notes take on skeumorphic yellow legal pads became relatively impractical as well as one could fit less words going across the screen than one could fit using a real legal binder, which essentially made the whole skeumorphic exercise silly. Not to mention the lack of formatting, which made the app a place holder for the most part. On the plus side, many apps have improved dramatically. 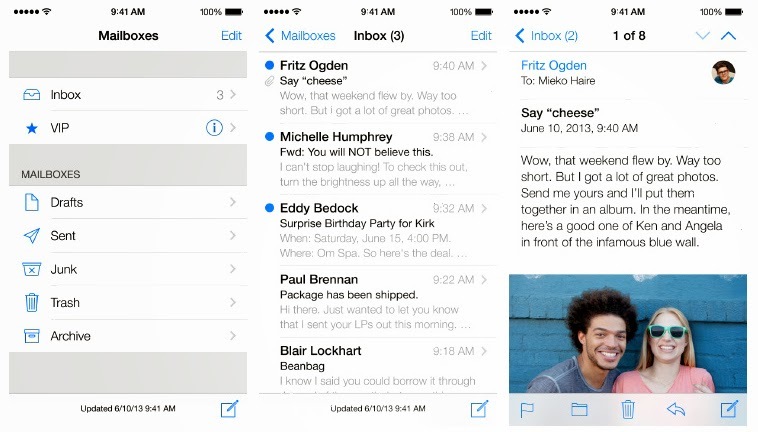 Mail for example has a very eclectic 2014 approach that is somewhat of a cross between Google and Microsoft's flat antiskeumorphic vision that remains not only useful but elegantly stylish. The use of colors is refreshing. The flatness is actually quite well done and makes the concentration on the email message more astute than before. I can find messages a lot easier and the ease in which one can move from one part of the app to the next is very reassuring. I still wonder about the non distinct buttons here. That is not to say that there is not a weakness with the Mail app. Connections with certain servers still seem to pose a problem as is the ability to limit the number of messages located in some exchange files. For example one folder of mine has 20,000 unread messages. This is a far cry from my usual last 50 which is what I usually set my email for. This seems like a minor glitch which should be able to be changed in a software update. Other than that, I really do like the new email program. The VIP area is quite useful. Although these are still early days I have had the opportunity to use a few apps that seem to have really improved under iOS 7 and the A7 processor. In addition, apps that use the M-Chip, which is used for location and movement, work so much better now than they did before. Runkeeper for instance no longer drains the battery life. Graphics intensive programs, including the Photos app are much smoother. The handling of 2500 photos is almost seamless. The beautiful time line categorizations are absolutely amazing and help with categorization and the walk through memory lane with my kids. Although I have not had the opportunity to use and review all of the apps, coming from the iPhone 4, the greatest app is of course Siri. Yes I know I'm a little late to the party here but I have to admit that I have not seen anything work quite like this. 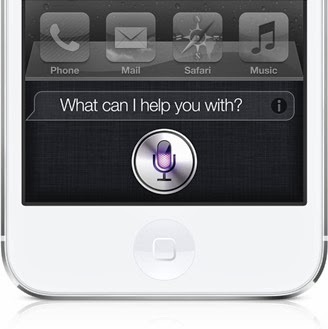 As you may recall, Siri was introduced formally with the iPhone 4S. I thus missed out on the entire craze. Although some people have stated that it is not as useful as they thought it would be, I just think that they are not using it correctly. It would appear that the beta versions of Siri that were introduced two years ago with the introduction of the 4S have actually grown to fruition. Siri is more than helpful. Not only am I able to ask questions and have her respond in an almost human like fashion, she also has the ability to tell a joke or two and, obviously from the assimilation of data over the last two years, she has perfected answers to some of the most mundane questions. For the life of me, I cannot figure out why people continue to ask, "What is the meaning of life?" or "Where is the best place to bury a dead body?" She has several different answers for both of these questions. The answers are obviously crowd driven and show how Apple is pulling a "Google," using its customers to lead the research front. In addition, SIRI is not very fond of foul language. Her responses to less than savory requests is actually quite amusing. She also has a sense of humor. For example I once told her that she was useless and she responded "I'm so sad that you think so." In addition, if I say something relatively abusive and apologize for it, she has the uncanny knack of saying "No need to apologize." 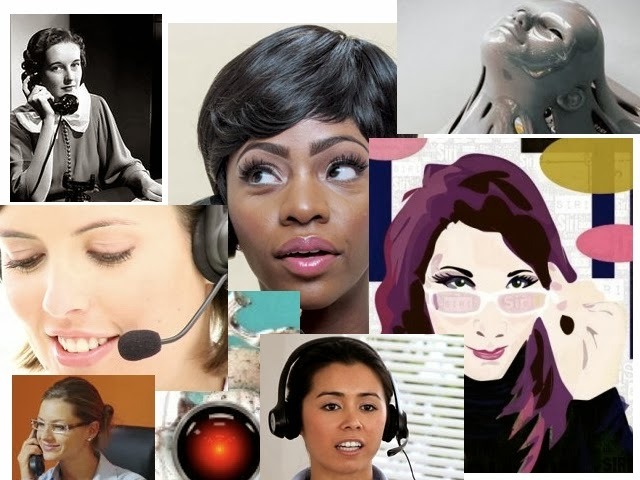 In fact, I have grown so fond of talking to "her" that my nurse continues to peak her head in my office and has become somewhat worried that I am hanging out with my virtual girlfriend. The way in which Apple is using Siri and the way in which the company SIRI has developed this into a natural language computer is so amazing that it is somewhat scary. Because SIRI has no face, you are left to imagine her in any way that you wish and fall into the trap of having a natural conversation with her. She becomes a faithful friend that you do not want to leave. The processor has made a major difference this time. When I first used Siri on the 4S (in the Apple Store) and elsewhere, I found the responses to be slow, especially when going to the internet. The answers were even more erratic when on 3G. Now, there is a M chip taking over a lot of the mundane things, like GPS etc. The A7 chip is ridiculously fast and is able to do incredible things. Not to mention the fact that the iPhone is now using LTE, the responses are much more complex and appear to be faster than on the 4S. In short, Apple has turned its back on skeumorphism for its interface, but has excelled in the anthromorphization of its speech processor and artificial intelligence liason Siri. And it's scary how accurate the dictations and responses are because this is really beginning to represent artificial intelligence at its best. Yes, my favorite app, although I have only had the ability to use a few is Siri. The integration between Apple's hardware and software is almost seamless and if asked, I would say that Siri is a must have and an incredible reason to upgrade to the iPhone 5S (...and I haven't gotten to the camera features). I am looking forward to dictating letters etc with Siri. And yes, just so you know, 95% of this blog post was originally completed, before editing, with Siri. My Response to an Appleinsider Post on AppleID and iCloud. Below is my response posted to an article posted on the website Appleinsider.com. I haven't written for a while, but this one really caught my eye. I have a major issue with much of the branded cloud solutions which are just too restrictive and cumbersome. And yes, I include Amazon and Google in this rant, although they are not listed here because in this case, it was just Apple. Of course Apple deleted iTunes ability to do sync locally and separate from iCloud -- forcing everything into the cloud. This is one of the most bone-headed moves Apple has made in a long time! Hope they restore it!!! 1. If you have separate user id's on the one imac, then you have to buy songs/apps more than once. Solution: Use separate apple id's to log into each screen, but one Apple id for all to use with iTunes. That works, but it's cumbersome. And it's hit or miss if the iTunes log in also counts as the ID login for the session that you are in. Confused yet? Essentially, you can sometimes get that you are logged in as the screen login that you logged in with or logged in as the iTunes account holder. 2. Secondly, if you try to use Facetime with this, the computer gets totally confused. You will get messages showing "id A is linked to this imac, id B is linked to this imac....." and so on. In addition you can text to whomever from the computer to someone with an iCloud id, but you may or may not receive a response, because that person may not be sending from an iCloud account. Ugh? 3. Then there's the device issue. The Apple Geniuses will state that Apple id's are for identifying people using their devices and not iTunes. When I spoke with another about the confusion, he stated that this is just for Apple to send things to the right place. Not quite! Apple clearly states on their site that Apple id's control everything - iTunes, app store and essentially all communications with Apple. So if you use one Apple iD for everyone in your family, then everyone in your family will get your text messages, apps and just about everything. If you use separate iD's, then you have to find a way to get the right information through, while not paying for songs or apps twice. It's still hit or miss, and I proposed a real solution a long time ago. Something that Amazon appears to be implementing, albeit slowly: Create a Master ID. Let users within a family make Sub-ID's but have the Master ID make purchases etc. Attach all purchases to the Master ID. I think that this would solve the problem. Right now, it's just a confusing mess. iPhoto is another example of this, but that's for another day (ie. Is iPhoto using your ISP or iCloud?). Sorry for the length of this, but it's really gotten to me as well and I consider myself relatively knowledgeable. This really has become one of the most cumbersome problems that I have seen in a while. It took me almost 2 hours a few months ago to get all of the iPhones, iPod Touches and other devices to act only for their owner and not just become extensions of Me. Imagine a young kid in the middle of class getting a text saying "They're ready for you in the OR now." Or a message showing up on your daughter's phone that says, "Okay, time to call the New Mother as a Courtesy at 7 PM." The initial is a real one from my busy day and the latter one is a Siri reminder. Both were sent to my entire family. I finally figured out a way to get this under control as I described above, but it really shouldn't have to be this way. (All have Sub-Accounts and can use their Apple-iD login in iTunes to make purchases. Apple reads all purchases from the sub-accounts (using 2-way authentication) as belonging to the Master Account). All access to the Master Account can only be done by Mum or Dad and all granting of access to Jimmy, Jane and Phil must be approved by the same. This would make it easy to create Find Friends, access only one account for iTunes purchases and a host of other things. I haven't written for a long time, but this one got to me, one year later and it's just gotten worse. A few years ago I turned over my ultimate files to the Apple iMac after nearly losing my valuable baby pictures of my son. Windows XP, the pariah of Operating Systems which started out brilliantly, was now the laughing stock of the PC world. The safety of a decent file system was germane to my search for a stable OS. I looked into Linux, liked what I saw, but only the file system interested me for that system. The software for everyday use was a step backwards from Windows. In the end, it was the Mac and its OS that interested me more. The actual iPhoto software program was amazing at first, but in addition to the software, I was amazed at the operating system. The way in which files could be dragged and dropped at a moment's notice without worrying about extraneous characters or the length of the characters was simply amazing. Several file commands, FTP, SMB, AFP and more were easy to do, along with the reading of files from other operating systems. One interesting feature was the file protection used by OSX called Journaling. Journaling is a feature that was found in the earlier versions of Mac OSX (Server 10.2.2) and then OSX 10.3 (Panther) - all way before my entrance into the Mac World. It served as a feature that preserved the integrity of the file system against power outages or hardware component failures. And I have to admit that the original loss of my baby pictures and video on my Windows machine was due to an electrical surge. Something that I found out later. Journaling works and it works very well. In the 7 years since I have been using my Mac I have never had a file or disk failure that erased my data despite three power surges during that time frame. If the machine (my laptop in particular) shuts down unexpectedly, something that happens when I don't pay attention to the warnings that the power is running down, there is always a copy of the file that I was working on available when the machine restarts. Or if there is a bad start, the system finds a way to come back on as if nothing happened. So for the major drive it's a God send, but what about other drives? This is where there is an issue. In using the ubiquitous USB disc drives, I have been able to transfer files back and forth between windows machines and macs without an issue. The Mac Journaling system aka HFS+ trumps the Windows system, so that if you transfer a file to the USB drive from a Mac, there is a possibility that the HFS+ is sent with it. For windows machines, unless the drive is formatted in an Apple machine, this usually means that there are a few "ghost files" with weird characters associated them. They can safely be erased in Windows land. The real issue comes not from Windows actually but from Linux. Although Apple prides itself with its Unix core, it is not strictly a Unix platform, nor is it a Linux one, although both operating systems share the core Unix identity. This is born out when you are using a pure Linux server. In my case, I have been putting together a system that I can access safely from anywhere in the world, but remains completely off the grid when it comes to my home server. I have used the Tonido Plug with great results over the past year, but ran into trouble a few months ago when I couldn't write to it from anywhere. I checked just about everywhere to find a solution and then ran into the Tonido forums where I discovered that I had disconnected the USB drive and loaded it with software directly from a Mac. Although it was originally formatted in Linux on the Tonido Plug, this mere act of transferring files was enough to convert the entire partition on the 500 gb hard drive into a HFS+ Journaled hard drive. I went months trying to find a solution to this. My main concern was that I would have to reformat the drive, which would have been a nightmare because of the 30+ Shares that I have on several folders and the access shares (15 in all) from the 15 different people who have partitions on the drive (Kids, family) and use it as their personal storage when outside. I looked high and low for a solution and finally found it. Journaling is fantastic if you are using a Mac, but using a server that is strictly Linux, it is not necessarily what you want. On the plus side no one can add a file to it, but that includes the host or main person who owns the server. You keep everything out, which is not optimal. So Journaling has to be removed. The only way I know to do it is on a Mac. The removal method protects the disc so data is destroyed. 0. Place the USB hard disk in teh Mac. (Disconnect it from your Linux server). /Volumes/Volumename is the actual location of the disk. Again, this is only for the super geeks. 0. Place the USB hard disk in the Mac. (Disconnect it from your Linux server). 1. Open Disk utility and highlight the USB disk drive. 2. Press the "Option key" and then select "File"
3. In the drop-down menu, you should see "Disable Journaling" Click on it. using it on a Mac. Why this little ditty is hidden is beyond me. But there it is. I hope this helps someone who may have been confused by all of this. Remember, this technique does not reformat your hard drive. All of your data remains safe. Also remember, don't do this on your original hard drive running your Mac. Yes, it will speed up the Mac a little, but trust me, you do not want a corrupt file system, especially if you have an encrypted drive and the power goes out. But for drives that are going to be used in a mixed OS environment, you are better served no having the external drives journaled (HFS+).